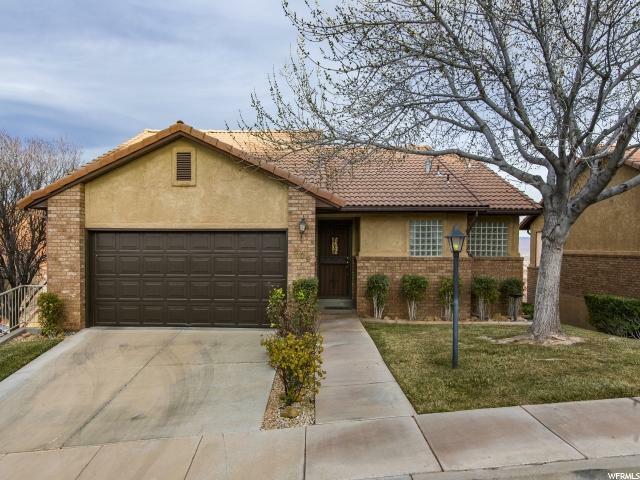 All RIDGE homes currently listed for sale in St. George as of 04/19/2019 are shown below. You can change the search criteria at any time by pressing the 'Change Search' button below. "Priced below appraisal and ready to GO! VIEWS, VIEWS, VIEWS! Original owner who lightly utilized the home(Part year residents) light and bright with an open airy floor plan- and vaulted ceilings! You will marvel at the unobstructed view of the pristine red rock! Plus *Main floor living! Two kitchen options- plumbed on lower level with countertop. Large walk out on lower level with separate entrance, Laundry up and on the lower level. Great amenities with financially strong HOA-community amenities include, pools, saunas, work out facility, playground, tennis courts and so much more! "